M Chan of Hollywood Hills..
Nana’s celebrating her 90th birthday December 12th with her family and friends in the hills of Hollywood. 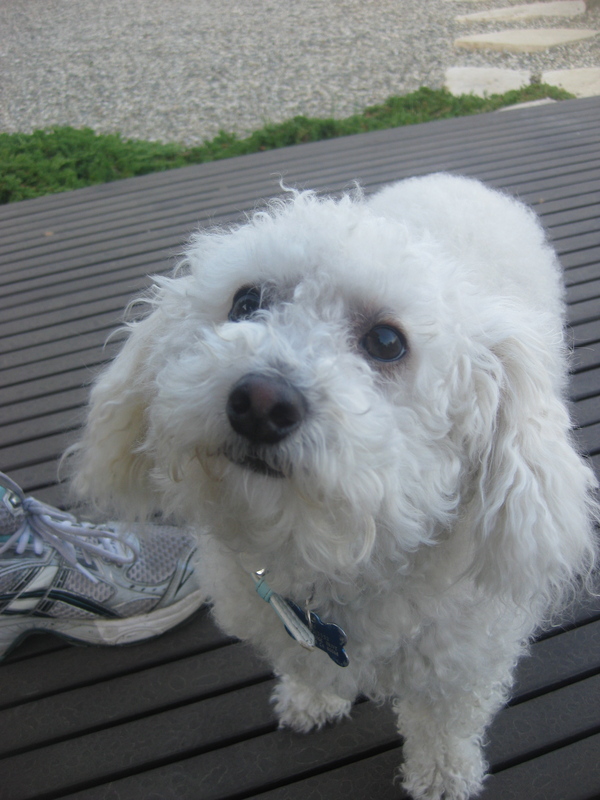 Her family ordered an Animal Print of M ~ a Maltese Poodle mix (Malty-Poo). “‘Chan’ is an affectionate term used in Japan to refer to a lil child…thus the name M Chan! 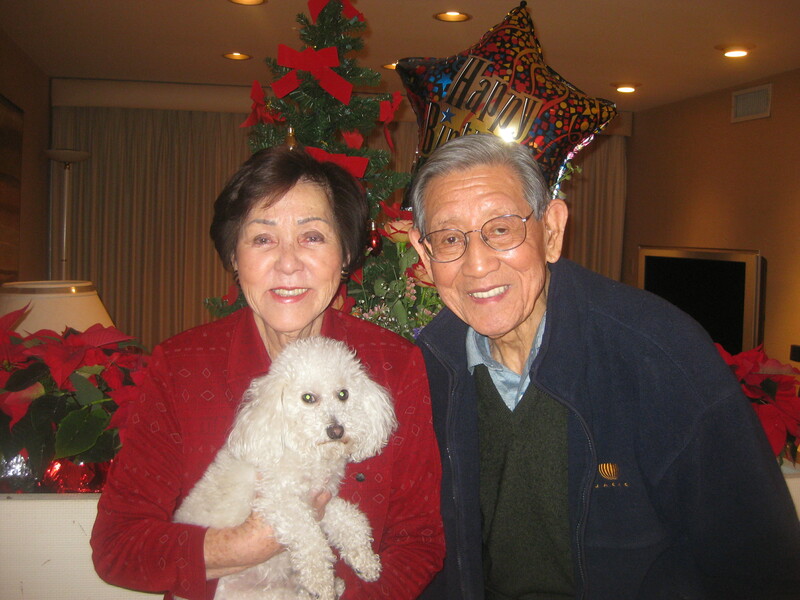 :)” Here is Nana with M Chan and her Main Mister ‘Gramps’. The final portrait was a compilation of several of their photos. Gadora can’t wait to hear what Nana has to say about her “lil munchkin.” Happy Birthday. 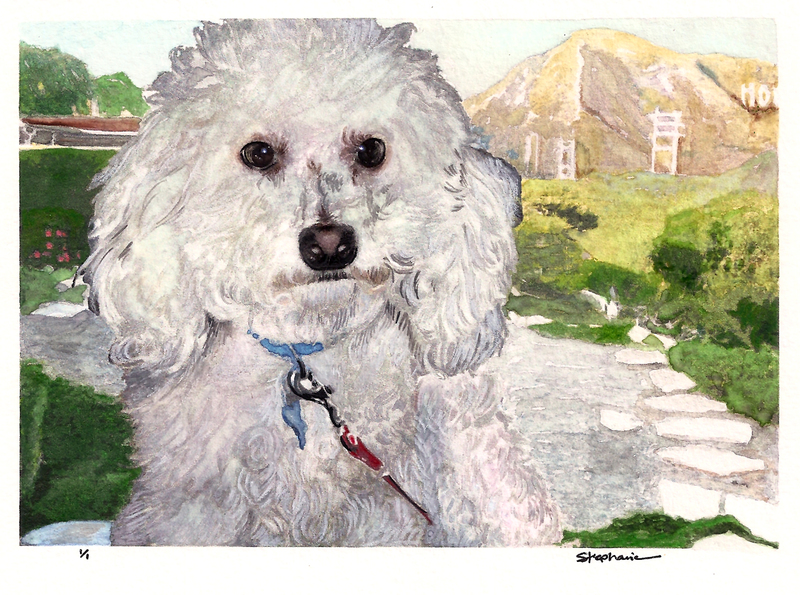 Posted on December 4, 2009 January 15, 2010 by gadorawilderPosted in ANIMAL PRINTSTagged animal print, Maltese, Poodle, water color. Wow! That was great! What a wonderful, personal memorabilia. Thank you Claudia. I didn’t even know you were doing this. I haven’t been up to Nanas house yet to see it up close and personal but will make a trip up to view it. Thanks again! Thank you so much for doing such an incredible job with this painting! Nana loved it, and as Claudia mentioned, M-chan just could not stop sniffing and staring the portrait down.